Asian hair is different from Caucasian hair, for example, my hair is thin, dry and more prone to frizz, which makes it easily end up as a tangled mess. Not to mention, the hot and humid weather makes my scalp super oily as well, which is why I have dull and flat hair most days but with the correct hair product and care, it can change my bad hair day to a good hair day. 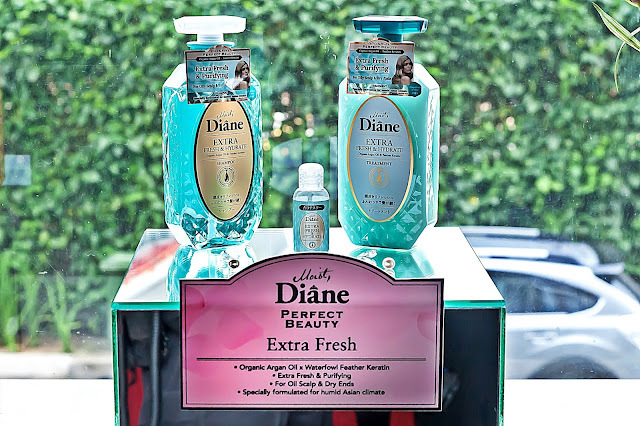 I'm so excited that Moist Diane's new shampoo range that sold 1 million bottles in just 10 Days is now available in Malaysia! 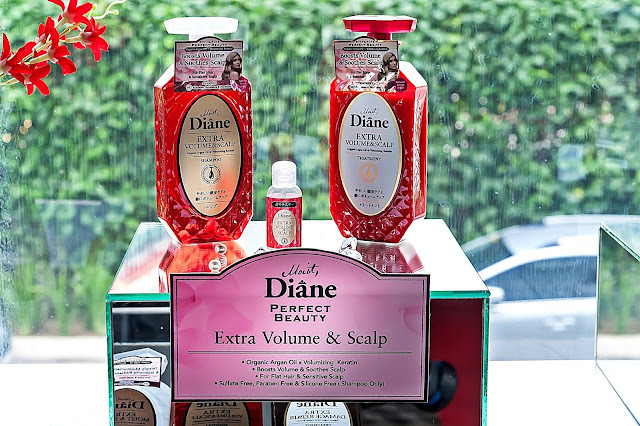 The new Perfect Beauty series by Moist Diane consists of six shampoos and six treatment products that target different hair types and concerns of Asian women. Moist Diane, Japan’s leading silicone-free haircare brand, has combined the wonders of nature and the powers of science to launch its new Perfect Beauty series, a renewal of their signature Argan Oil series. Other than being silicone-free, the newly formulated series is color-safe and sulfate-free (except Extra Fresh variant). In addition, all the products are enriched with the goodness of ECOCERT certified Organic Moroccan Argan Oil and customized with Beauty Keratin in an elegant and pretty pump packaging designed with the brand’s trademark diamond-shaped pattern that resembles a luxurious fragrance bottle. A unique ingredient that is activated by heat from the hairdryer. Once it detects the heat, the Nano Repair EL penetrates into the hair shaft to boost hair elasticity, radiance and resilience giving supple hair! 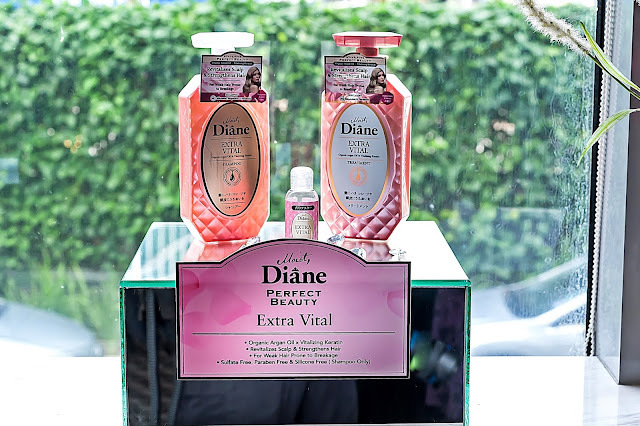 This cleansing system gently cleanses and rejuvenates the hair without any burden. In addition, it helps to remove impurities and dirt from the hair and at the same time, providing care for the hair with its rich lather. 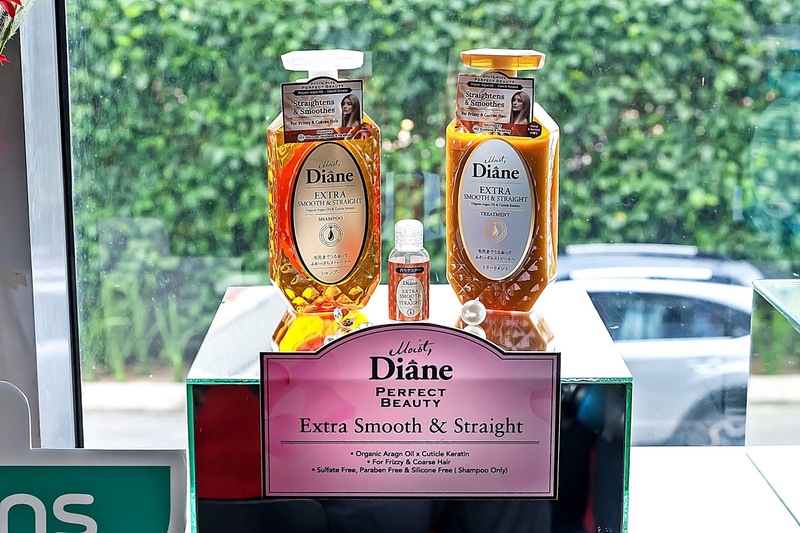 Your hair can use some love and care so grab your bottle of Moist Diane, they are exclusively available at selected Watsons stores nationwide.